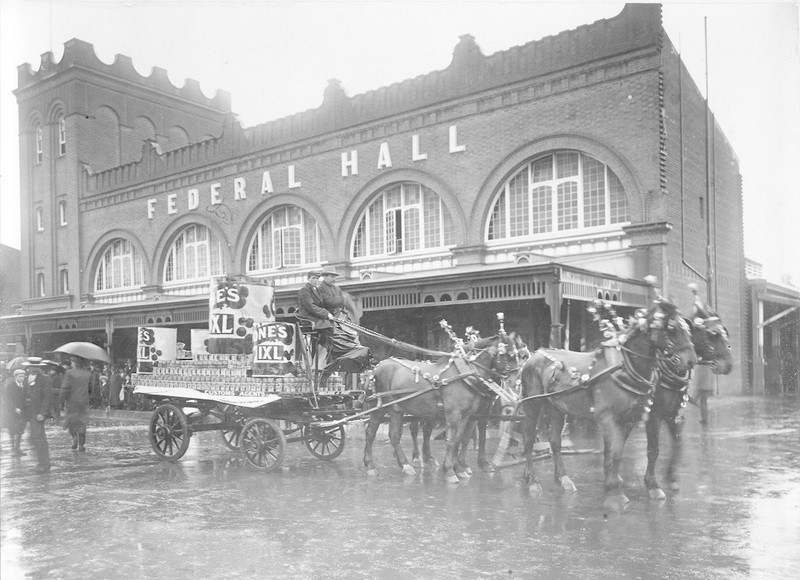 One of several markets to emerge in the mid 19th century, the precursor to today’s Adelaide Central Market began in 1869 when the Council secured two acres of land between Gouger and Grote Street for a Central City Market. Prior to 1869, market gardeners would travel to Richard Vaughan’s East End Markets, which by 1869 was frequently at capacity, with traders who could not fit or refused to pay the fee spilling out onto the footpaths surrounding the market precinct. The new City Market officially opened on Sunday 22 January 1870, months after market gardeners had already begun trading on the site with two 100 by 50 foot sheds constructed at a cost of £1,000. A large attendance of both growers and customers, who had made a good commencement with their business before 7 o'clock, when the Artillery Band, whose services were provided by some private citizens, put in an appearance, and celebrated the occasion with some music. The Mayor explained that “there was no intention at all to crush Mr. Vaughan, proprietor of the East End Market”, and he “felt confident there was quite enough room for two markets, situated as they were, and that not a very remote period they would have one in North Adelaide also." The markets increased in size and popularity over the years, with the current red brick structure arriving at the turn of the 20th century with construction beginning in February 1900. Major repairs were undertaken following the outbreak of fire in June 1977 which caused significant damage. Today, the Central Markets have grown to include an arcade of specialty shops to its east and a plaza and to the west. A food court opens out into the neighbouring Chinatown precinct, further cementing the Market’s place not only as a site of commercial trade but cultural exchange as well. “Central Market,” Adelaide City Explorer, accessed April 26, 2019, https://adelaidecityexplorer.com.au/items/show/301.